Around the world, each additional ABB fast-charging station that goes into use makes electric cars more valuable and feasible for everyone else. Call it the network effect in e-mobility. Around the world, as the public, governments and businesses confront climate change, the virtue and value of clean electric transportation becomes more evident than ever. After all, an estimated 25 percent of carbon emissions and greenhouse gases are the result of fossil-fueled transportation. ABB, a global leader in electrification, sustainable energy and e-mobility, is uniquely suited to play a prominent role in the mass adoption of electric vehicles – whether in the form of electric buses and trains, or ocean-going vessels propelled by ABB Azipod® propulsion. And in the case of electric cars, ABB’s fast charging stations have emerged as the great enabler. Capable of adding as much as 200 kilometers (about 125 miles) of driving range to a car’s battery in as few as eight minutes, ABB fast chargers are being installed in roadside networks around the world. More than 7,000 ABB direct-current fast charging stations have been installed in 60 countries, and the number is steadily growing. By overcoming the “range anxiety” that has been the main obstacle to the public’s embrace of electric vehicles (EVs), these charging networks are beginning to provide the same utility and convenience for travelers as the petrol filling stations that made fossil-fuel cars ubiquitous over the last century. It is the classic network effect. Each additional electric car that goes into service creates incentives for operators of charging stations to install more of them. That, in turn, makes it more feasible for other drivers to switch to electrics. Each car and charger added to the network, in other words, makes the network more valuable to everyone else. And in the case of ABB’s fast chargers – led by the flagship Terra HP – the term “network” is meant literally. 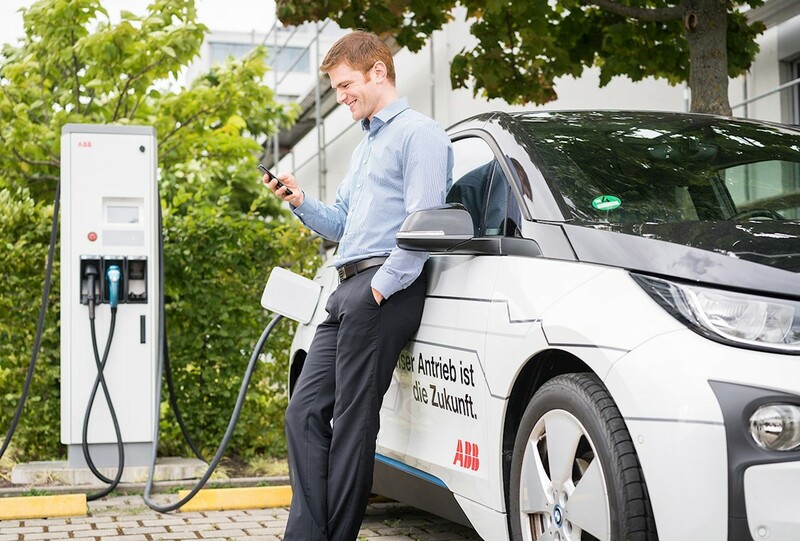 Thanks to the digital capabilities of the ABB Ability™ offering, ABB’s fast chargers are connected in networks that can be linked to electronic payment systems and can enable remote monitoring and maintenance from central control centers. Here is a look at some of the most notable ABB charging network success stories from around the globe. In Europe, where reducing carbon emissions is a priority, public policy tends to favor electric vehicles and charging networks. The results so far are impressive, particularly in the Nordic countries, where hydropower provides clean, renewable electricity. Norway has the world’s highest market share for sales of fully electric cars, at more than 22 percent. 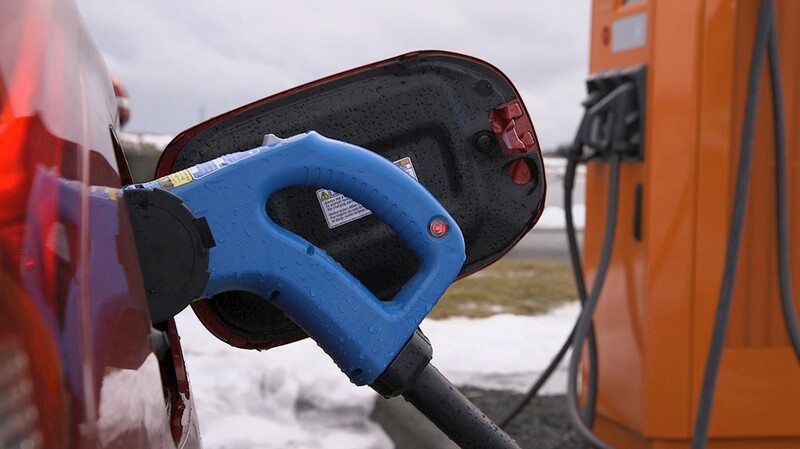 ABB, which supplies fast chargers to Norway’s largest bus fleet, has also provided more than 500 car chargers there. While fossil fuels still account for 20 percent of overall energy usage, the Icelandic government has put in place a state-financed incentive program to increase the use of electric vehicles. It's already having an impact—today there are more than 6,000 e-cars, compared to a scant 90 in 2014. The country, ranked second among European nations in EV market share, has benefited from more than 20 ABB fast charging stations along Route 1, the 1,300-kilometer road that's the country's main highway and its logistical backbone. EV infrastructure is growing throughout Europe. Denmark now has more charging stations than petrol filling stations. And this year in the Netherlands, the network charging operator Fastned, in a partnership with ABB, brought 350kW charging capability to the country. Germany, with its Energiewende energy transition policy, is one of the nations most committed to e-mobility. Along German motorways the energy supplier EnBW has already installed nearly 200 EV fast chargers at Tank & Rast filling stations. German automakers are doing their part, with the Ionity charging-network joint venture by the BMW Group, Daimler AG, VW Group’s Audi and Porsche divisions, as well as the Ford Motor Company. By 2020, Ionity plans to operate a network of approximately 400 fast charging stations across 24 European countries. ABB, a supplier to Ionity, has already delivered six 350kW fast chargers for the system in Switzerland – the first chargers installed on the continent with liquid-cooled cables in Europe. 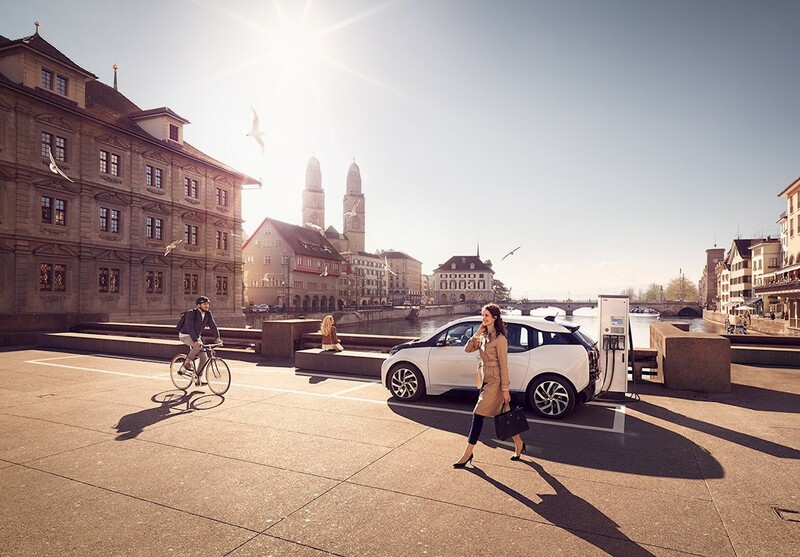 ABB also recently made a gift of 30 fast-charging stations to the people of Zurich, which is home to the company’s headquarters, as part of a celebration of the company’s 30th anniversary. In France, networks of ABB fast-charging stations are being set up. Car dealers have installed more than 100 around the country as a convenience to buyers. On the French Mediterranean island of Corsica, meanwhile, solar-powered ABB Terra charging stations have been deployed by Driveco, a subsidiary of Corsica Sole, a provider of solar-generated electricity on the island. In Italy, ABB has provided charging stations as part of the Unit-e project partly funded by the European Commission. The plan calls for a network of charging stations that will enable electric cars to make the 2,000 kilometer trip from Genoa to Dublin, Ireland. 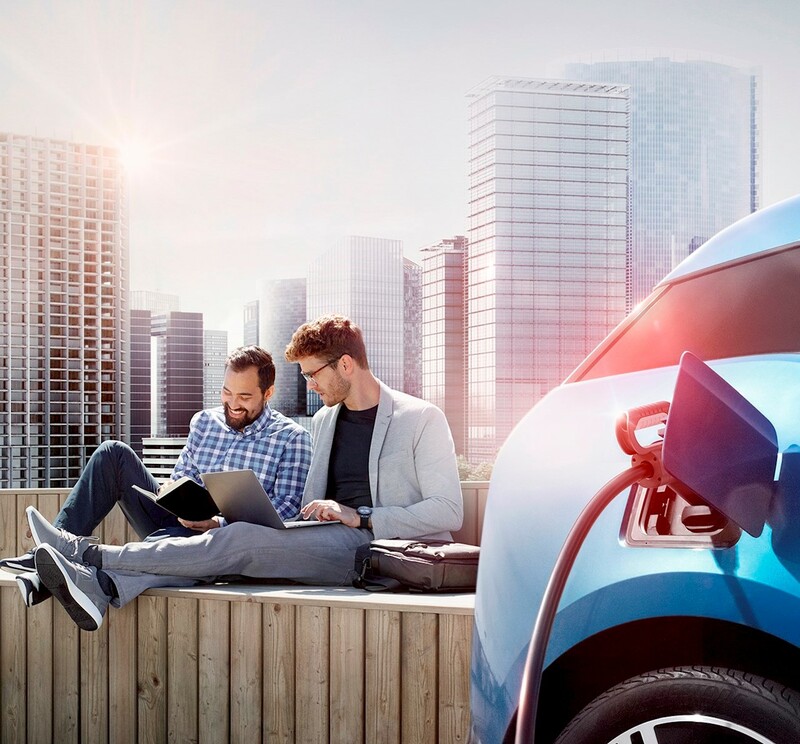 When the network is complete, drivers will be able to fast-charge their vehicles quickly and easily along the way, regardless of the EV’s make, model, voltage or payment system. Other countries on the continent are also embracing e-mobility. A fast-charging network is expanding rapidly across the Czech Republic thanks to ABB, which has provided 80 charging stations to a variety of grid operators and retailers. And ABB fast-charging stations can be found on a growing number of roads and highways in Bulgaria. Two of the world’s biggest and fast-growing networks of charging stations are being installed in the United States, with both employing ABB chargers. One is EVgo, which now operates in 66 metropolitan areas and already has more than 500 ABB charging stations in place. The other is Electrify America, the biggest electric vehicle US infrastructure project planned so far. Electrify America intends to place hundreds of charging stations within and around 17 major metropolitan markets and at intervals of 120 miles or less along nationwide highway corridors. In Canada, ABB has set up the Center of Excellence in E-Mobility, part of a $90 million investment in the company’s Campus Montréal. The center has installed two of ABB’s Terra 53 DC charging stations to demonstrate the technology’s potential. The Center of Excellence in E-Mobility will help Canada move into the future with smarter, sustainable transport systems. China, with the world’s largest car market, produces the most electric vehicles of any country and also has the world’s greatest number of domestic EV sales. China has powerful incentives to electrify its vehicle fleet: a desire for energy independence; severe air pollution in major cities; and the ambition to dominate the global market for EVs. Buyers have responded in kind – more than 400,000 fully electric car sales in 2017, according to the China Association of Automobile Manufacturers. And the demand for charging stations has likewise boomed. ABB, one of the topelectrical suppliers in China, has had a foothold in the country also with DC charging since 2014, when it entered into a strategic collaboration with BDNT, an electric-car joint venture , to supply direct current (DC) fast chargers. Such agreements, together with China’s plan to deploy 120,000 charging points by 2020 and the country’s large-scale electrification of city bus fleets, offer ABB enormous growth potential in the fast-charger space. Moreover, ABB is poised to play a pivotal role in supplying electricity to those charging networks with projects like the Changji-Guquan link, which will transmit power from the Xinjiang region in the northwest, to Anhui province in eastern China. This ultrahigh-voltage direct current (UHVDC) transmission line will use a record-breaking 1.1-million volt transformer developed and manufactured in close collaboration with State Grid Corporation of China. The link will enable China to shift away from coal-generating sources near urban centers to clean, renewable energy production in less populous parts of the country where solar and wind power can be produced in abundance. Another potential EV growth market for ABB is India, where the company is helping reduce cities’ notorious air pollution by integrating clean energy into the power supply. Fifty percent of solar power generated in India now passes through ABB inverters. And a 1,700-kilometer UHVDC link transmits hydro power from the Himalayas to the city of Agra, for distribution across North India. Demonstrating its commitment to clean energy and sustainable transportation, the Indian government’s premier policy think tank has installed an ABB Terra 53 fast charging station at the organization’s headquarters in the heart of New Delhi, India’s capital. The think tank, NITI Aayog, plans a pilot project in EV charging networks for New Delhi.